Dwyane Wade is a professional NBA player, currently playing for the Miami Heat. Wade was drafted fifth overall in the 2003 NBA draft by Miami, and he is considered to be one of the best basketball players in the NBA alongside many other players such as Stephen Curry. Wade helped guide Miami to four NBA Finals from 2011 to 2014, and he is a 12-time NBA All-Star. He is Miami’s all-time leader in games, points, assists, and steals. If you’re a fan of motivational videos, do a quick search in YouTube for “Dwyane Wade motivation”, and you’ll see some cool stuff can maybe motivate and inspire you. 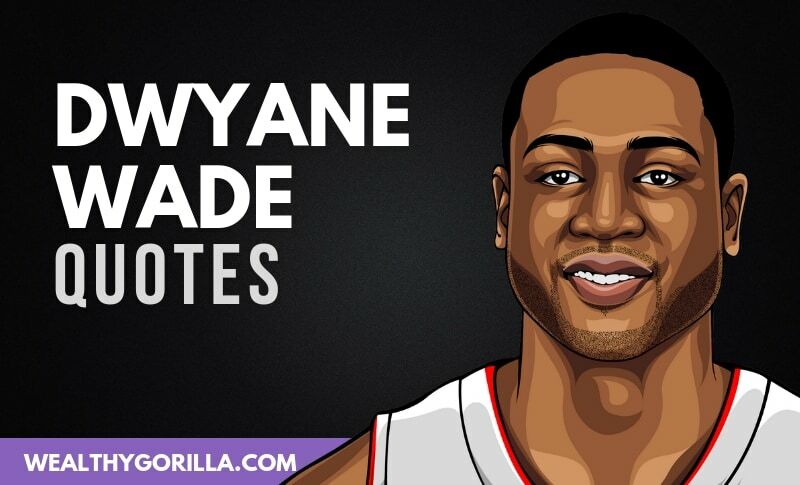 Thanks for viewing this collection of the best Dwyane Wade quotes! Don’t forget to use the buttons below to share these quotes with your friends. Do you have a favorite Dwyane Wade quote? Leave a comment below.